We are pleased to announce that Brazilian Supreme Court’s Justice Luiz Fux has confirmed participation in LAWLE 2017. Luiz Fux is Justice at the Brazilian Supreme Court (STF) and is full professor (professor titular) at the State University of Rio de Janeiro (UERJ). Justice Luiz Fux holds a Law degree and a Doctorate in Law from the State University of Rio de Janeiro (UERJ). Justice Fux has received numerous awards and medals, including a celebration of his 25 years teaching at UERJ and the National Literature Award 49th Prêmio JABUTI in 2007. Professor Luis Fux has published over 30 books in addition to book chapters and academic papers. His CV is available here. We are pleased to announce that Universidad de Los Andes’ prof. Eleonora Lozano Rodriguez has confirmed participation in the joint Lawle-EPRG 2017 event. Prof. Eleonora Lozano is Director of the Masters Program in Taxation as well as the Specialization Program in Taxation at UniAndes. A permanent member of the organizing committee of LAWLE, prof. Lozano is an expert in arbitration, member of the Centro de Arbitraje y Conciliación Cámara de Comercio de Bogotá and of the Centro de Arbitraje y Conciliación (MARCO) del Autorregulador del Mercado de Valores. 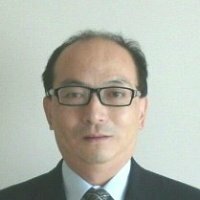 We are pleased to inform that Yokohama National University‘s Professor Keiichi Yamazaki, has confirmed participation in the joint Lawle-EPRG 2017 event. Prof. Keiichi Yamazaki is Head, Department of International Development, GSISS, YNU, Head, Department of International Economics, College of Economics, YNU, Chief, Macroeconomic Growth Division, Center for Economic Growth Strategy, YNU, Researcher, Unit for Development Policy for Latin America, Institute of Advanced Sciences, YNU and Vice Director, Joint Japan-World Bank Graduate Scholarship Program at YNU on Public Policy and Taxation. The Economics and Politics Research Group (EPRG) is accepting submissions of papers and book launch proposals for the joint events Fourth Latin American Workshop in Law and Economics, LAWLE 2017 and Fifth Annual Meeting of the Economics and Politics Research Group, 2017 EPRG to be held on November 16 to 18, 2017 in Brasilia, Brazil. We are looking for papers and books that cut across the fields of economics, political science, law, sociology and psychology. Due to limited space, we kindly suggest those who are interested in attending the events to register at their earliest convenience. We look forward to meeting you in Brasilia!